AmeriSpec has national advertising relationships with many realty companies. These national relationships give us unique opportunities to market to agents and brokers inside these organizations. This includes attendance at their international conventions, national and regional meetings, conducting realtor continuing education classes, advertising in broadcast e-newsletters, on-line communications and network publications as well as the ability to market utilizing co-branded marketing materials. AmeriSpec provides extensive training at our state-of-the-art training facility in Memphis, Tennessee, covering the technical, business management and software technology aspects necessary to open and grow your home inspection franchise. A replica of an actual home (complete with a roof, water heater, plumbing, electrical wiring, and appliances) has been constructed on the premises for training purposes. 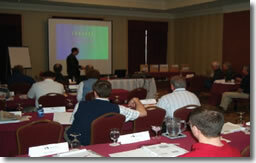 AmeriSpec provides regional conferences in various cities each year. At our regional conferences, you'll get insight into a variety of technical and management topics pertaining to your home inspection business from some of the most widely recognized experts in their respective fields. These courses are recognized by national home inspection trade organizations for meeting continuing education requirements. We offer a 15% discount off franchise fee for veterans and 10% for minorities/women. We offer in-house financing! 80% of franchisee fee and equipment with a down payment of only 20%. The initial investment in an AmeriSpec franchise ranges from $23,100 to $33,100 depending on market size. This investment includes the initial training as well as the marketing and technology package with a laptop computer, a hand-held computer for use during home inspections, and AmeriSpec Home Inspector Software™. This package also includes start-up marketing materials and promotional items. Additional start-up costs plus adequate working capital will be required. We are always anxious to expand our AmeriSpec network with eager, qualified individuals who want to own their own business. We think it's important that we meet personally. That's why we recommend you and your spouse attend a Discovery Day. We look forward to discussing your views of business ownership as well as the potential for building a new AmeriSpec strategic-partnership. Please note this franchise is only accepting inquiries from CA, FL, GA, IL, IN, KY, MI, OH, VA, DC. Interested parties should have at least $20,000 to invest. 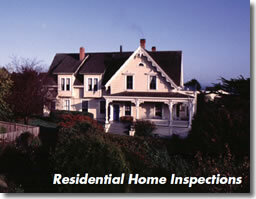 Click on Request Information for FREE info on how to open a AmeriSpec Home Inspection franchise today! Please Note: This AmeriSpec Home Inspection franchise opportunity and other franchise business opportunities, businesses and franchises for sale on this web site are not to be considered as an "offering", "franchise offering", suggestion or recommendation by Franchise Leader™. This advertisement depends entirely on the truthfulness of the information provided by our advertisers which includes, but is not limited to, franchisers, franchise brokers, franchise consultants and business brokers. Franchise Leader™ recommends that you consult a lawyer, financial consultant, accountant or professional advisor before buying a franchise or business opportunity or any type of business. By using this form or any part of our website, you have agreed to all terms and conditions of Franchise Leader™. Please review our Terms & Conditions for more information.